We took some outings with the babes this week. Actually, miniature attempts to join the real world with twins started for me last week. The girls and I successfully went to Target together. I didn’t shop around of course. I went in, picked up photos (that I ordered online), paid for them, and went right back out…But not before making cashier take my photo on the way. I wanted proof of my first outing with the girls. Once back in the car we made it home without anyone crying and I breathed a sigh of relief. The five-minute triumph in Target led me to attempt a modified supermarket trip two days later. The supermarket shop was successful as well, if you don’t count the part in the beginning where I almost took out the bread display with the stroller because I was navigating the cart behind me around the berries, or the part in the middle where I lost my cell phone and found it on the counter by the bulk spices. I put it down to measure out my garam masala. I won’t do that again, but it’s hard to stay focused when you’re rushing, people stop you to chat about your babies, and your babies are getting increasingly discontent in their seats. In the end we made it home before any meltdowns, just in time for a diaper change and lunch. I know. It sounds crazy. But I called ahead and got permission before I just showed up to a mature, tranquil environment with tantrum time bombs. Phil has had a few extra days off this week. 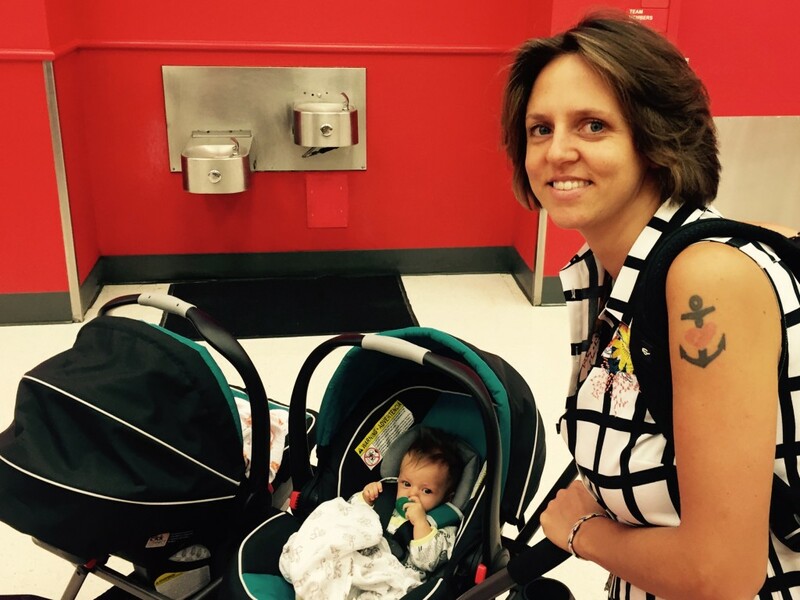 It was a perfect opportunity to get our girls out in public. 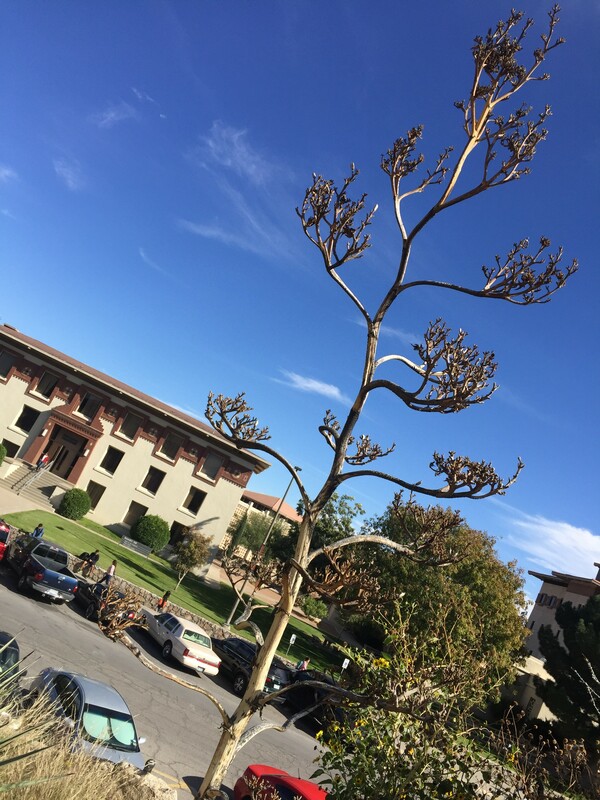 The first place we went was The Centennial Museum and Botanical Gardens at UTEP. 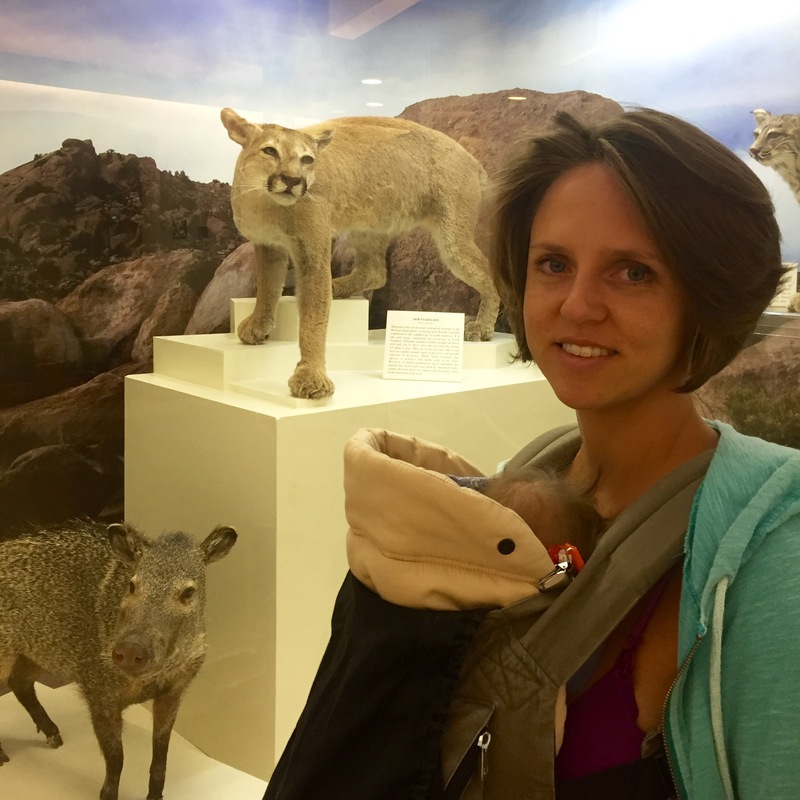 This is a moderately sized, free museum that highlights natural as well as cultural history of the Chihuahuan Desert. It was established in 1936. Interesting beyond what we had initially assumed; the museum displays an extensive rock and mineral collection, next to dinosaur fossils, next to an animal exhibit, next to a display of ancient artifacts of the region. (to include the battle dress of a typical Spanish conquistador) Also, currently the museum is featuring an art exhibit on the ground floor until the middle of January. It is titled Icons and Symbols of the Borderland. Phil and I loved the artwork. The girls found it interesting too. Personally I enjoy that life around here seems to focus on the duality of its cultural existence, that of America and Mexico. In El Paso the two are inseparable. The outside of the museum is surrounded by 800 varieties of local flora. There is a self-guided tour around the gardens. Unfortunately we found it a bit difficult to follow, but we did spot a lot of the plants we see on our walks through the dessert. 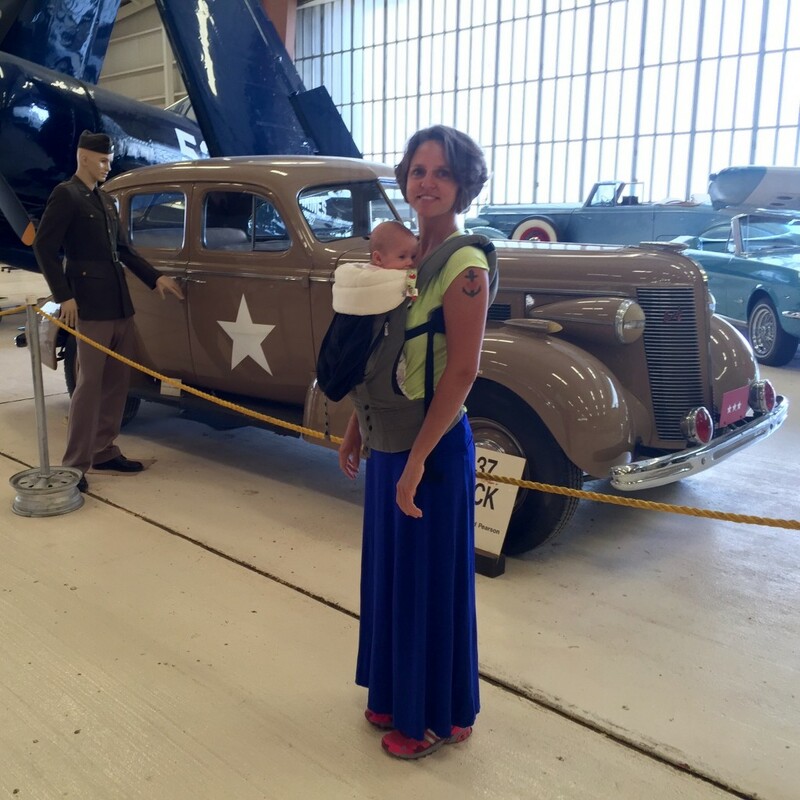 We carried the girls through the museum and gardens in our baby carriers. It was fun to watch them crane their necks and peer over the insert cushion in order to look at the art on the walls. I can only imagine what they were thinking. The gallery showoff art held their full attention. The taxidermy upstairs…not so much. They slept through that and most of the garden stroll. Art and Culture were Wednesday. Aviation was Friday. Not more than 10 miles from our house is Doña Ana Airport in Santa Teresa, New Mexico. This small airport is home to the War Eagles Air Museum. 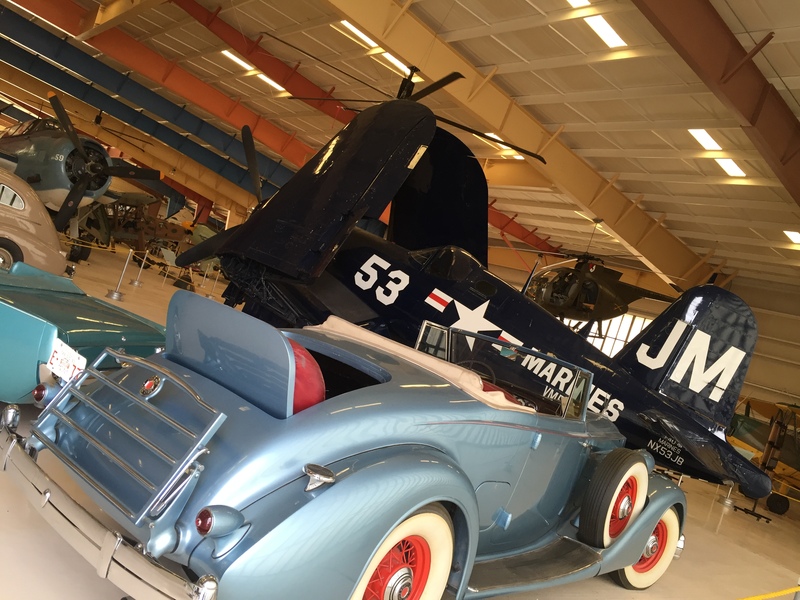 Aptly named, the museum is a collection of aircraft from WWII and the Korean Conflict. Most of these old airplanes are kept in ready-to-fly condition. 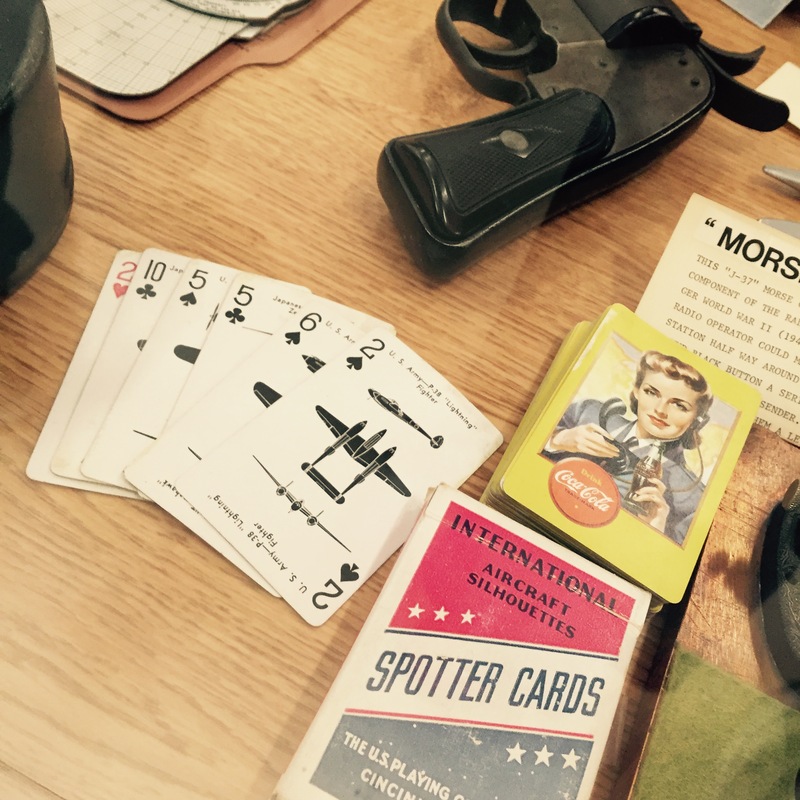 The museum also showcases a fine collection of mid-century artifacts in addition to the birds. Everything is nicely arranged and displayed. We had fun wandering through the hangar, gazing up at the planes, checking out the cars, and reading old newspapers, all with the music from the era in our ears. After we went through the museum we had a bit of time left over so we strolled around the outside of the hangar and got a closer look at the airplanes outside. I like to think the babies learned a lot at both museums, and had fun too. Maybe that is only because I learned a lot at both museums and had fun. At the very least I’m just glad we were able to enjoy our time out, not have any major catastrophes, and not ruin anyone else’s experience either. My trick is to make sure the babies are well fed and dry, and for the activity to be no longer than 90 minutes so that we may return home, a place of familiarity, in time to be fed as normal. It has proven to work in these recent experiences, but I will forever remain vigilant and anticipate the day things don’t go so well. And rest assured you will be the first to know all about it, as I will need someone to laugh about it with to keep me from crying. 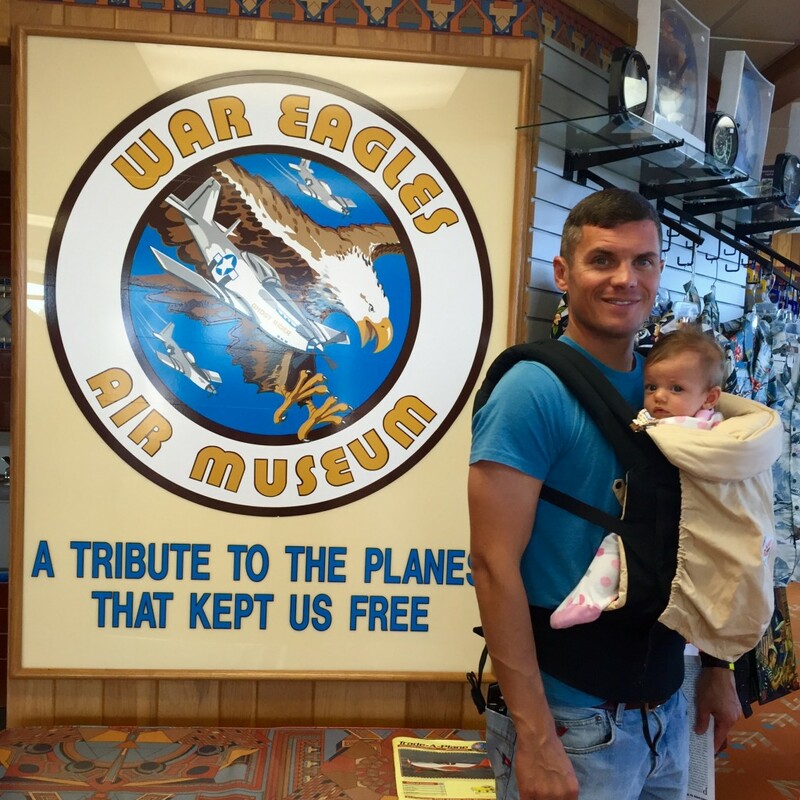 This entry was posted in Texas, Travels, Uncategorized and tagged Babies, Centennial Museum and Botanical Gardens, El Paso, twins, War Eagle Air Museum.